… a non-profit co-operative woodworking community in Vancouver Canada. Pictured below is her latest work. 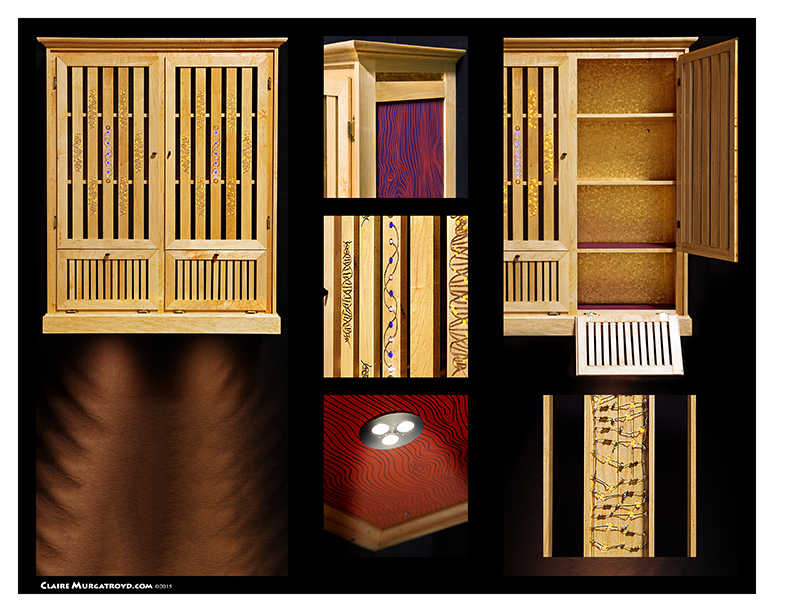 Titled DNA Cabinet, Claire used Eastern Maple, plastic laminate, led lights, gold paint and gold wallpaper. The dimensions are 56″H x 46″W x 16″D.